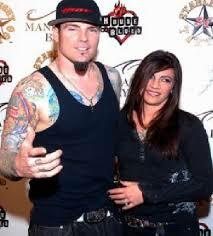 According to reports, white rapper Robert Van Winkle aka Vanilla Ice is set to divorce his wife of almost 20 years, Laura Giaritta. The rapper was booked on domestic charges in 2001 and 2008. Laura who has 2 kids with the rapper; Dusti Rain, 18, and KeeLee Breeze, 16 is said to have filed for divorce in Florida.